A downhill par 3, which looks deceptively easy. The bowl shaped green receives shots kindly. Accuracy is everything as the green is tightly guarded by the bunkers on both sides. If anything play slightly to the right of the green and let the ball drift back to the green with the help of the wind or the mounds. 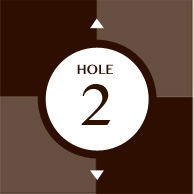 Over clubbing on this hole can be advantageous. Hole in one chances are greater on this hole as the record shows. Appearance is deceptive. 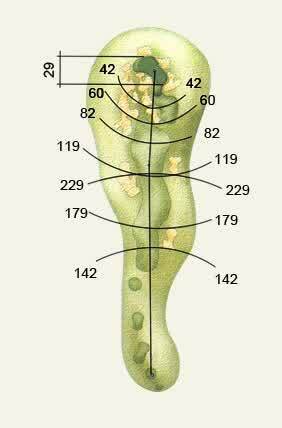 Many golfers can vouch for big numbers on this hole.